One of the biggest opportunities in today’s world is the willingness to get in front of the camera. Video is becoming more and more accessible for people and a bigger and bigger tool. I’ve personally seen it be a great tool to increase my visibility and personal brand. I’ve seen countless others do the same. About nine months ago, I decided I was going to start incorporate video more strategically into my social media strategy. I was launching a book within the next year as well as a couple online courses, so I wanted to make sure my audience was primed and ready for these big launches. With each video I created, I was priming my audience to tell them I know about X,Y, and Z. If I tell them information about these topics on a regular basis, there’s no denying that I know at least something (usually more than them) about the subject. It’s easy to be seen as a thought leader when you are being strategic about what you want your audience to get from your messages. 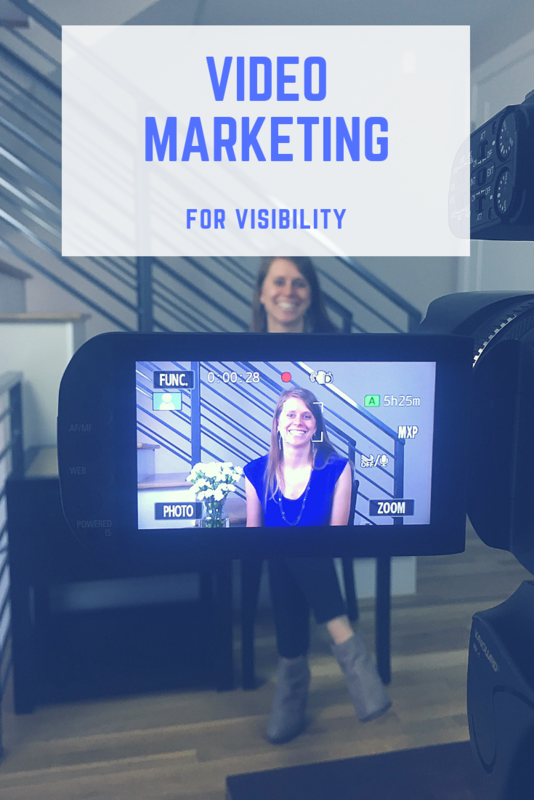 Video is extremely effective for building visibility and digital authority simply because people can see your mannerisms, experience your tone, and see your personality. You can’t do that nearly as well with written word, images, or even audio. However, video combines all of that in one spot. It’s a great way for people to understand that you are a good fit for them (or not). It’s a great way for people to connect with you and your brand. When I thought through what content I wanted to share for my videos, I had to think through what my courses and my book were about. Since I was building them and the funnel assets, it was easy because I was so immersed in the content. I was able to record videos that touched on important topics and subtopics surrounding the need for my offerings. By being focused on specific themes, it gets hammered home that I am interested in a few core topics. My audience’s understanding of my expertise becomes laser focused as I stay laser focused on specific topics. One of the tools with video is that you have to stay consistent. Yes, you could have a video or two go viral, but consistent video is where you will really shine through and have the ability to make a dent. I’ve been posting weekly videos for almost nine months and have seen each video reach people who don’t follow me or are not connected with me as well as strike up countless conversations. I’ve seen my video views continue to hold stead and continue to spike with the consistent posting. As I’ve mentioned many times before, I simply love the concept of batching. If I’m going to sit down and record one video, I’m going to sit down and record four videos or more. My goal is to do my work in batches so that I can get comfortable in front of the camera and be most efficient with my time. This also helps me be focused and strategic because I know exactly what topics I will be talking about over the course of a few weeks and can think progressively about the journey I take people through week by week. I could go on and on about the magic behind video content, but I know that if you have gotten to the bottom of this list and haven’t realized the power of video, you never will. For those who are willing to embrace it, even just a little, there’s a huge opportunity to build your authority and position your brand as an expert. It takes work, but the work is worth it ten times over! 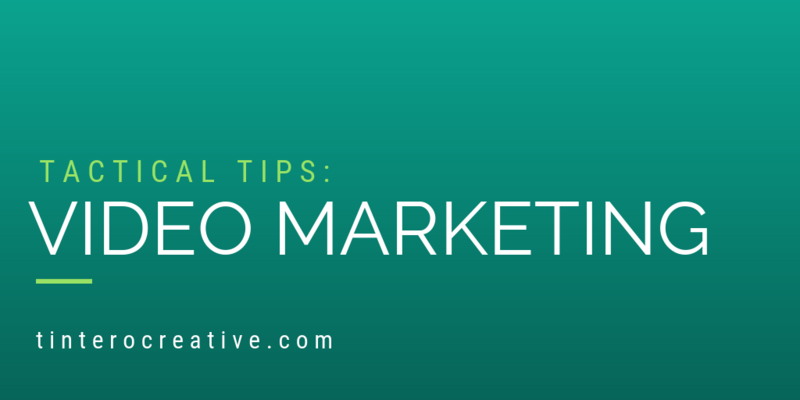 Wondering where to get started with video marketing? You might be interested in our article HERE on where to start.